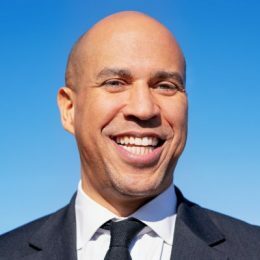 On February 1, 2019 New Jersey Senator Cory Booker (49), announced the formation of a committee to investigate a presidential campaign. He is an Oxford Rhodes Scholar, first African-American U.S. Senator from New Jersey, he was previously the 36th Mayor of Newark from 2006 to 2013. Eric Swalwell, Detroit Rep. Rashida Tlaib, and New Jersey Sen. Cory Booker, who is running to win the Democratic nomination for president in 2020.